Apologies to anyone who doesn’t like Lush products but as I’ve done a couple of hauls recently so I’ve got lots of products to review so expect to see a few posts about them popping over the next few weeks. I promise there will be definitely others though so hopefully they will appeal if you’re not a fan. 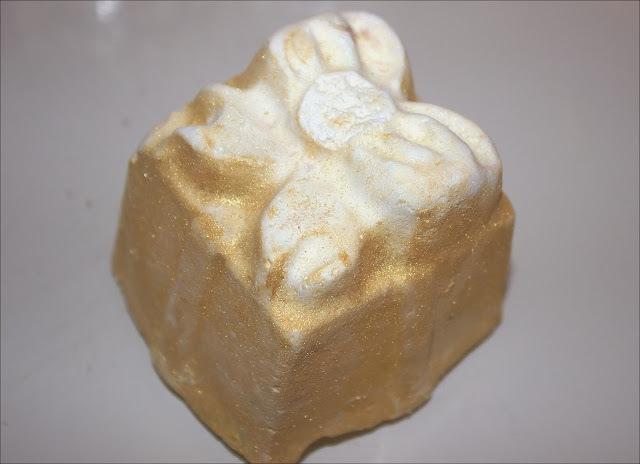 Moving on to today’s blog post, it is all about the bath bomb Golden Wonder. This is part of the Christmas collection so is only available around this time of year which is a shame as the gorgeous golden parcel shaped bath bomb is so pretty and unique. 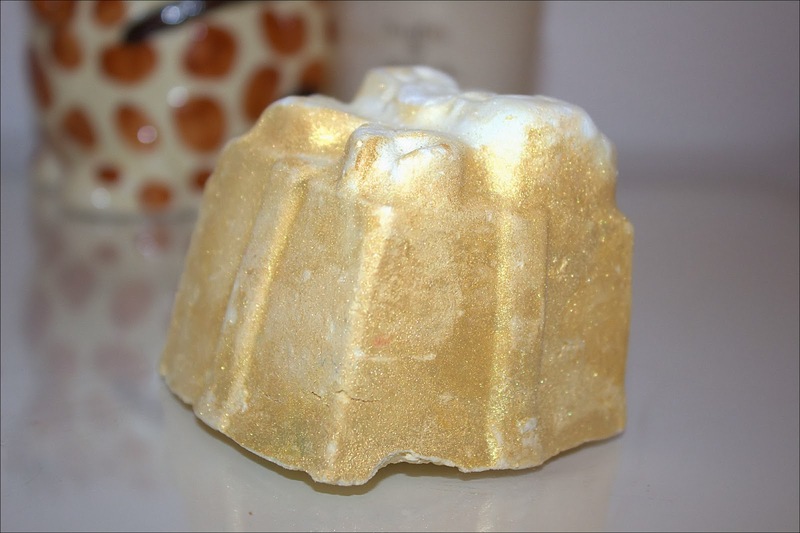 The scent of Golden Wonder is deliciously sweet from the lime, orange and cognac oils but doesn’t scream Christmas. I like this, though because spicy scents don’t appeal to me so much. This fragrance is actually the same as the Snowshowers bath jelly if you have tried that before. The rattle inside Golden Wonder reveals there is a hidden gem waiting to be uncovered which gives this product a extra element to differentiate itself from the other bath ballistics. Dropping this parcel into the water soon reveals the surprise as it instantly starts fizzing and turns the bath yellow. Swiftly, this changes to blue before finally swirls of pink also come out of the present shaped brick floating around the bath. Overall the bath water is turned a turquoise colour with pretty dissolvable yellow stars floating around the surface. I really like this a bath bomb and it is the second one I have purchased within the past week. You can buy Golden Wonder from Lush for £3.50. Have you tried Golden Wonder? Thank you! That's not sad at all, it's something nice to look forward to. Enjoy it!